Dr. Alan Frame is now offering a promotional offer on Invisalign treatment. Santa Clara dentist, Dr. Alan Frame, is now offering a new promotion on Invisalign. For a limited time, candidates for Invisalign can take advantage of this offer of treatment for just $4,000, a significant discount from the usual cost of $5,500. Some restrictions do apply, and this offer cannot be combined with other offers. “As a part of your Invisalign treatment, you will receive a complimentary teeth whitening,” Dr. Frame said. This allows patients to completely transform their look with straight, properly aligned teeth and a bright, sparkling smile. 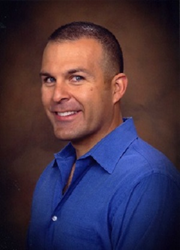 A Santa Clara native, Dr. Frame enjoys being a community dentist and serving both familiar and new faces. A graduate of Santa Clara University, Dr. Frame’s dental education began at the University of the Pacific School of Dentistry, which he graduated from with the highest honors before completing his general practice residency at UCLA. Dr. Frame is a member of the American Dental Association and dental fraternities Tao Kappa Omega and Omicron Kappa Upsilon. In his leisure time, he enjoys watching sports. Dr. Frame offers consultations to determine if patients are candidates for Invisalign. For the best results, patients should have healthy teeth and gums without any untreated dental disease. Invisalign can be used to treat spacing, crowding, crossbite, overbite, underbite, and other types of malocclusions or misaligned teeth. Dr. Frame offers a variety of other treatments as well, including ceramic veneers, dental implants, tooth-colored fillings, dental crowns, root canal treatments, routine cleanings, checkups, dental sealants, fluoride treatments, and teeth whitening treatments. Invisalign and these other treatments and procedures can help patients keep their smiles healthy and attractive throughout life. Dr. Frame treats patients of all ages from childhood through adulthood.